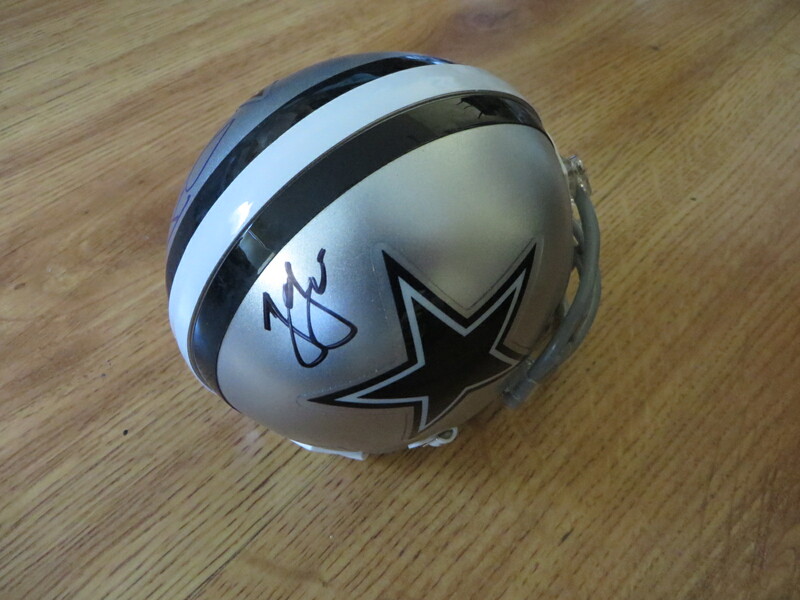 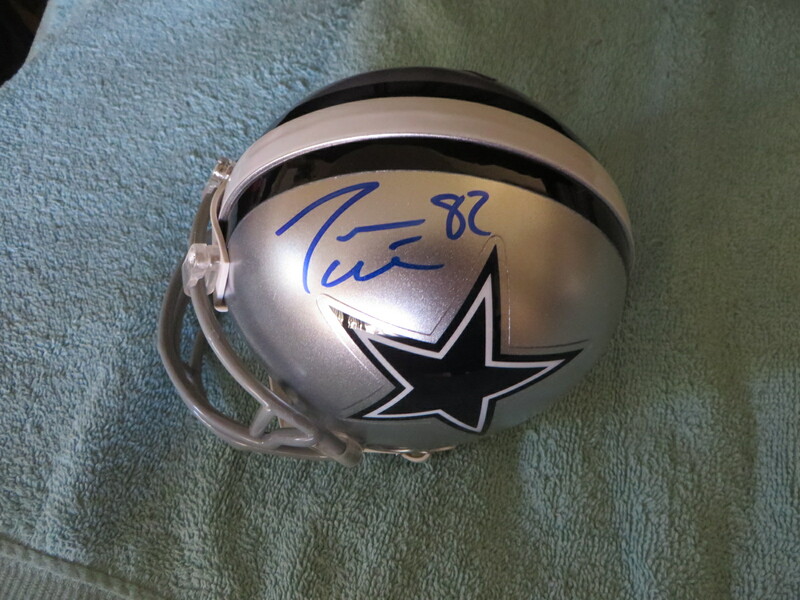 Dallas Cowboys mini helmet autographed on opposite sides by future Hall of Fame tight end Jason Witten and head coach Jason Garrett. Obtained in person at the team hotel in San Diego, with certificate of authenticity from AutographsForSale.com. ONLY ONE AVAILABLE FOR SALE.